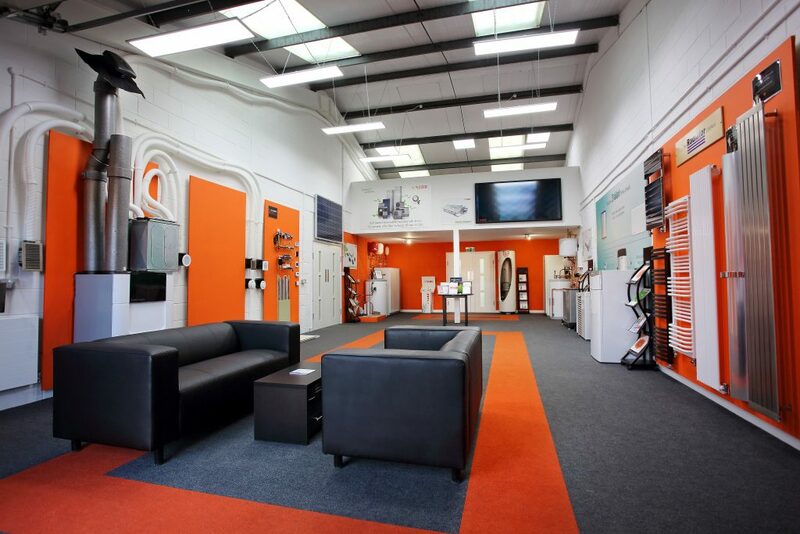 In September 2012 we opened a Showroom with a working air source heat pump and underfloor heating. There are displays of the products from two heat pump Manufacturers NIBE, and Vaillant showing both ground and air source units. There are also displays of underfloor heating options, a solar thermal hot water cylinder and panels. Also on display are modern quality radiators from The Radiator Company and Stelrad and a working model of a mechanical ventilation and heat recovery unit. The Showroom is open from 7.15 am – 4.30 pm Monday – Thursday and 7.15am -4.00pm on Friday. Opening on Saturday is by appointment. If you want to discuss your project in depth you can phone to book an appointment on 01603 898904, there will always be someone available to help you if you just ‘drop in’. You are also welcome to contact us via our website enquiry form where you can also upload your plans to assist us with helping you with your enquiry.